Occupational Therapy Team | Childrens Theraphy Solutions | About Us : Children's Therapy Solutions Ltd.
Children’s Therapy Solutions was established in 2007 as a private community Occupational Therapy Team, operating across the UK. 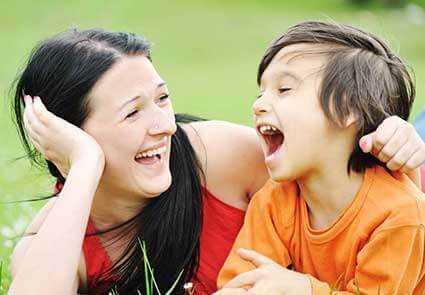 We work sensitively, compassionately and productively with children from birth to 24 years. With more than 21 years of experience working specifically with children, we bring expertise and reassurance to the families we work with. We understand the challenges faced by children from birth and toddlerhood to teenagers and adulthood. We can prepare and support children, their families, schools and carers throughout their growing years. Making everyday activities easier for children and young people is what motivates us – we find practical solutions, supported by clinical treatment, to maximise their potential and enable them to lead inclusive, fulfilling lives. Every child receives a tailored programme according to his or her needs and circumstances. As the only practice specialising in all aspects of children’s Occupational Therapy, we are uniquely positioned. You can count on us to assess, treat, recommend equipment, advise on technology and environmental controls as well as recommend modifications at the child’s home, school or community in order to promote quality of life and independence. This holistic approach combined with specialist skills significantly reduces the overall time and cost of working with different organisations to provide a complete service. By choosing to work exclusively with children and young people, we have become experts in this field and can channel all our energy into changing children’s and young people’s lives for the better. We accept referrals either directly or through Solicitors, Case Managers, Schools, Local Education Authorities, NHS Authorities, Housing Associations, Insurance Companies and other accredited agencies. We work to high standards providing quality assurances, complying with the Data Protection Act 1998. All our Occupational Therapists are HCPC registered, fully insured and have annual DBS enhanced certificates. Not sure whether your child might benefit? It costs nothing to find out! Get in touch today and we’ll arrange a convenient time and date for a free 30 minute call with one of our Occupational Therapy specialists who will give you a clear idea of how we can help. “Since becoming involved with Children’s Therapy Solutions over 12 months ago our daughter has made positive steps which ordinarily would not have been achieved working solely with the NHS therapist. The therapy sessions are measured, controlled and time taken to make our daughter feel relaxed and at ease. Achievable goals were agreed and set from the outset; early signs are the goals will be achieved and much further progress than originally expected. Over the past 12 months the OT has been pro-active in dealing with everyday problems thus providing us with workable solutions. The OT has also been liaising with other professionals to improve their knowledge and gain a better understanding of the client’s needs.